I am a very fortunate human being. I have tasted quite a few whiskies. Quite a few of those quite a few being from Islay. The oldest of those being a 33 year old Port Ellen. Never have I tasted anything close to this old from Islay. And am never likely to again. Where has it come from though? 45 years this has sat in a few casks and there aren’t many distilleries with those kinds of stocks left. 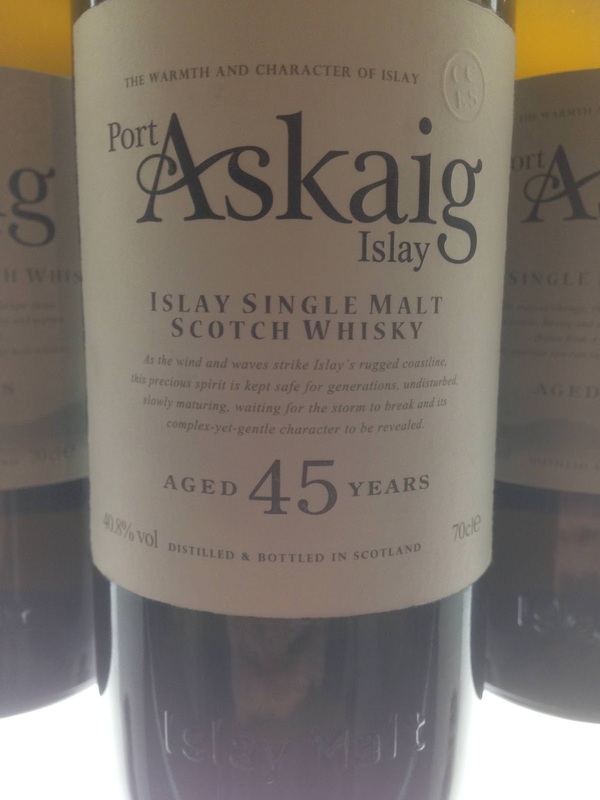 Especially that they would be selling to Speciality Drinks as part of their Port Askaig range, instead of plonking it in a fancy decanter and getting a few grand a bottle. The answer comes from the other distillery near Port Askaig. The one that doesn’t produce peated whisky. Ah, I don’t think its too much of a secret. Its Bunnahabhain. Nose: Another world. Crazy complex. Musty, grape, black liquorice, orange, slightly tropical, mango, orange peel, dusty warehouse, leather, tobacco, earthy, complex nuttiness, not so much oak actually, more secondary flavours, candied lime and lemon peel, nutmeg, chocolate, slightly singed heather. Taste: Soft, lacking power, oak, lots of it, orange, nut, heather then darker chocolate, leather, earthy with complex spices behind. Keeps developing and going on and on. Nutmeg, quite a dry experience, 90% dark chocolate, some ginger, a little splintered dry oak, cigar box, orange marmalade and tobacco. Finish: Medium length. Complex is the name of the game here too, waves of leathery, earthy, mustiness, cocoa powder. But again, lacking power. 1968 Bunnahabhain from 5 Sherry butts that were married together for the last year. Mega complex whisky. But oh, what would this have been like at 38?! It’s just been left a little too long in those barrels. Lost a bit too much of the strength. What an experience to get to try this though. And despite the weakness, there is so much here to discover. Great, great old whisky.